In the competition to start under center for the Cleveland Browns, rookie DeShone Kizer began to strongly state his case in his NFL debut. Since coming back into the NFL in 1999, the Cleveland Browns have struggled to find competent quarterbacks. They made their latest attempt to find a quarterback of the future in the draft this year, taking DeShone Kizer out of Notre Dame in the second round ( No. 52 overall). But Brock Osweiler started Cleveland’s preseason opener against the New Orleans Saints Tuesday night, in what seems like a showcase to trade him at some point before Week 1. Predictably enough, Osweiler went 6-for-14 for 42 yards in four series of action. Cody Kessler, who made some starts for the Browns last year as a rookie himself, followed Osweiler in the game and went 5-for-10 for 47 yards. Kizer was of course third in line to play, and he finished with 184 passing yards and a touchdown on 11 completions (18 attempts). But 52 of those yards came on one completion, to wide receiver Richard Mullaney. Kizer entered the draft process with questions about some aspects of his game, but arm strength was not one of those things and he showed why. The most disappointing aspect of this play is that did not go for a touchdown, Mullaney was ruled down at the 1-yard line, setting up running back Terrence Magee for a short touchdown on the next play. But Kizer did eventually throw quite the impressive long touchdown later in the game. Playing against backups and eventual roster cuts has to be noted. 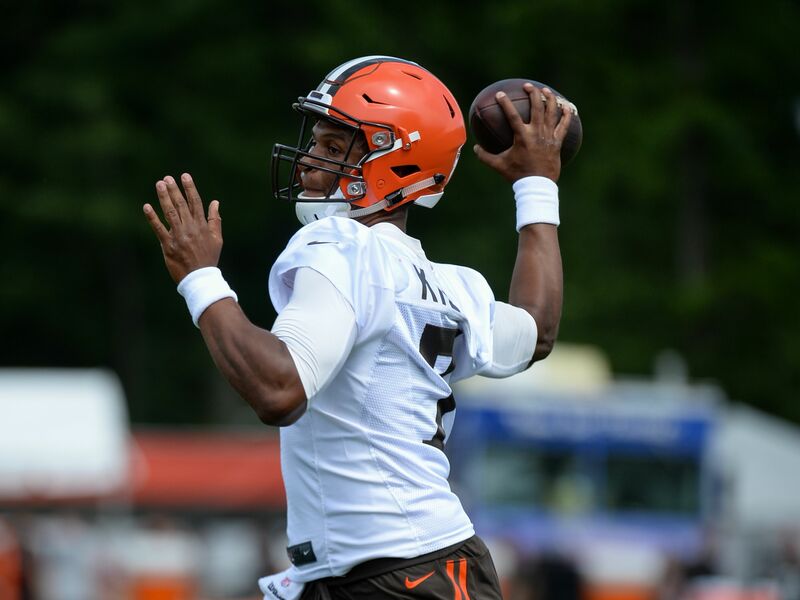 But Kizer clearly was the best of Cleveland’s three quarterbacks in the first preseason game, and he earned an opportunity to at least play earlier, if not start, when the Browns play the New York Giants on Aug. 21. That’s a Monday night, so some fancy Jon Gruden-isms are surely coming to describe Kizer.